Jerhigh Bacon is a high-quality snack jam-packed with nutrients and vitamins. Suitable for all dogs to grow healthy and strong. Your pet won’t be able to forget its mouthwatering flavor and aroma of these bacon shaped treats. Jerhigh Bacon is made from real chicken meat and has been meticulously prepared by our highly experienced expert team. It has been researched and tested in the laboratory to ensure that the treat is hygienic, safe, and filled with all of the nutrients man’s best friend needs to stay healthy and happy. 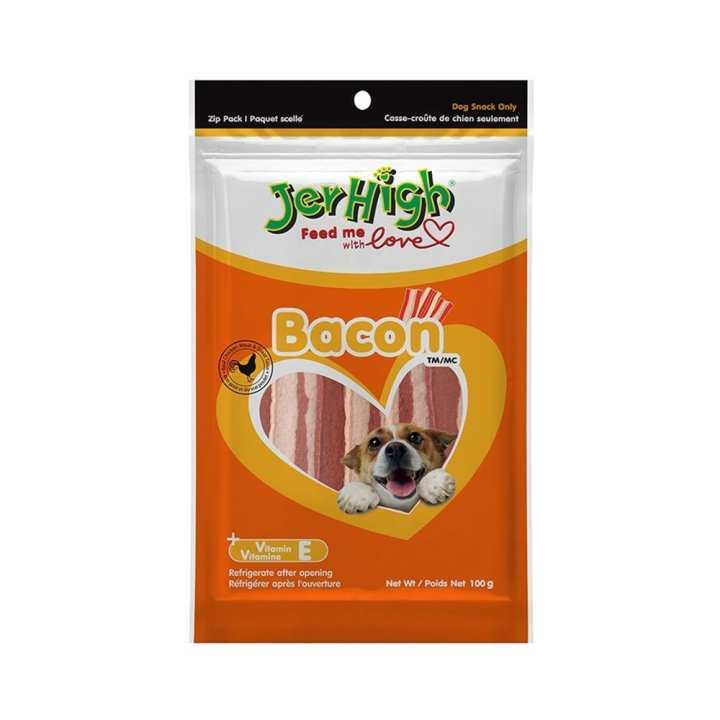 You can rest assured that Jerhigh Bacon is the perfect reward that your favorite canine deserves.